Eggnog is a divisive, but firmly established, holiday classic. It’s also incredibly fatty. Can you mix a lighter drink this Christmas? Who would have thought heavy cream, eggs, and liquor could be so fattening? Here’s how you can lighten the eggnog a bit this year! Eggnog may be somewhat divisive, with some despising the holiday beverage. It’s even been blamed for causing riots! Despite this, eggnog has survived for centuries. Literally, the eggs, cream, and booze drink can be traced back to the 14th century, where it was popular with English nobility. At this time, eggnog was known as posset, which originally lacked eggs, but they were slowly added over the years. Since eggs and milk were expensive, it became popular and exclusive among the social elites. Price became less of an issue when people traveled to the Americas during the Colonial era. The ingredients were much more plentiful, allowing everyone to enjoy. 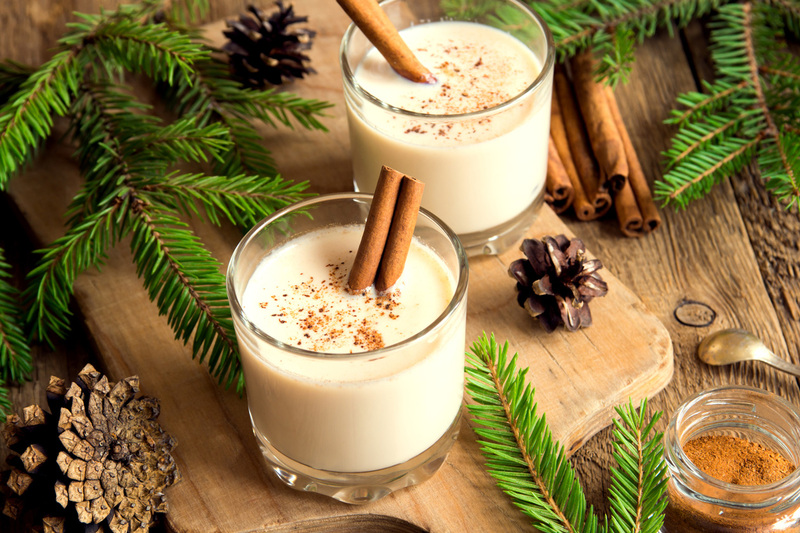 Unlike the European version (which was made with sherry or Madeira wine), American eggnog was made with whiskey or rum. Unfortunately for those who enjoy the drink, it’s really fattening and high in calories. We at Medicareful Living don’t want you to feel like you’re missing out this holiday season. We looked up different ways you can enjoy this classic without busting your diet. Looking at George’s recipe, there are a few key areas you can look to cut calories. The clearest area we can improve the health is with the dairy. Full fat milk and cream won’t do you any favors if you’re calorie counting. Instead, almond milk or fat-free milk will make a lite, though not a rich, drink. The next area we can cut calories is the sugar. Looking over George’s recipe, we see the first president called for 12 tablespoons (or ¾ cups!). Even more modern variations of the traditional recipe call for an abundance of sugar. One option is to cut the sugar. The final product won’t be as sweet, but excessive sugar’s pretty bad for you, so you’re not missing out too much. In this regard, eggnog is very similar to hot chocolate. Finally, if we’re talking strictly cutting calories, you can also take away the alcohol. There’s a reason alcohol is often called empty calories. This is because alcohol offers few nutritional benefits, despite being fairly high in calories. Going with a sober nog, depending on how much rum you normally add, can save you roughly 100 calories.